Eckhaus Latta's spring 2019 collection, shown on the top floor of a Bushwick warehouse, was light, unfussy, and so lovely I could have cried. Designers Mike Eckhaus and Zoe Latta expanded upon well-worn brand standards, dip-dying denim and transforming knits into feather-light flared pants and slip dresses. One knit blue dress with square cut-outs (it was more cut-out than dress) and spiky plastic ornamentation elicited gasps, as did the two models who walked shirtless, shoulders covered in pieces that lay somewhere between jewelry and sculpture. Whoopi Goldberg, one of the most prolific (and best) NYFW attendees of all time, loved the show as much as we did. "I can't really wear any of it," she laughed. "But I loved it." Goldberg, clad in a Canadian tuxedo, said that she's loving this fashion week. 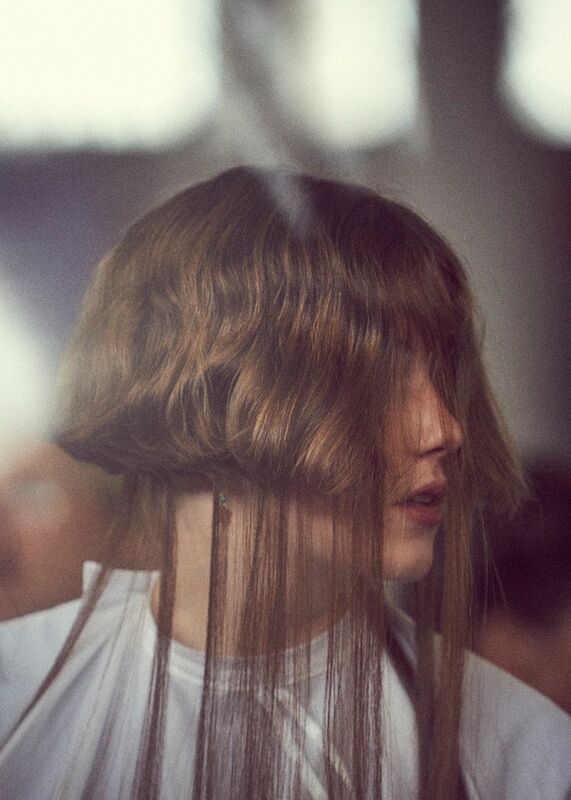 "There's something about it, I don't know," she said. "It feels lighter that it has before, and I think it's great to feel lightness in these tough times." 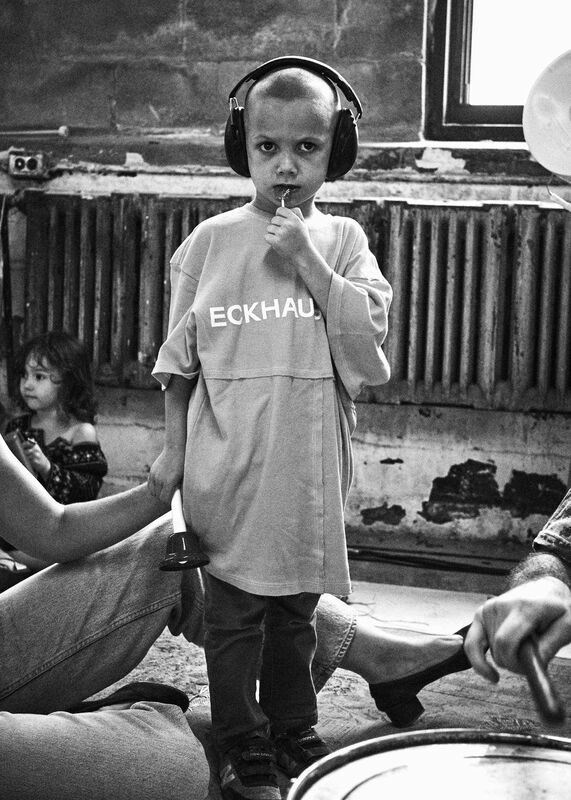 Music was provided by an actual band of children in oversized Eckhaus Latta t-shirts, the "young people orchestra." 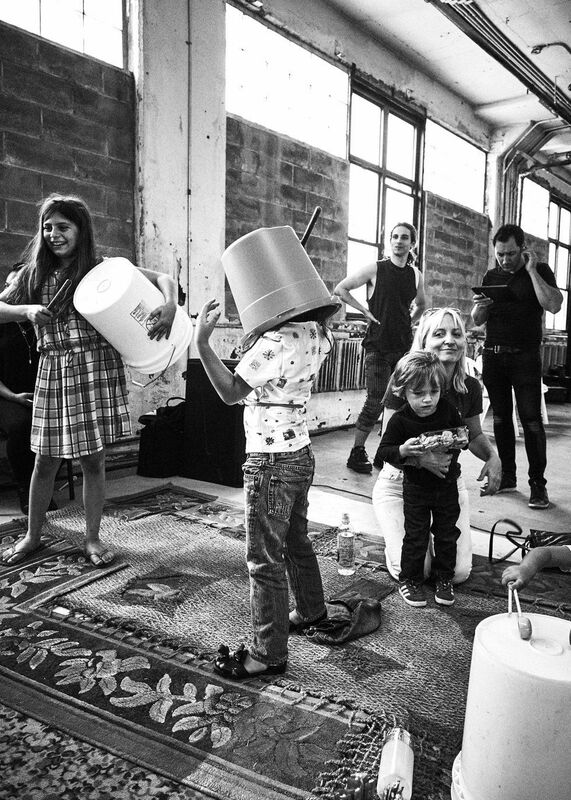 Lead by artist Brian Chippendale, who kept the beat on a drum, a group of kids played with drums and toy instruments while gathered on a rug by Sophie Stone, which was also included in the designers' recent exhibition at the Whitney. Eckhaus Latta is known for their casting (this season by Rachel Chandler for Midland Agency) with shows featuring friends and art world figures. Models at Spring 2019 included brand stalwarts Paloma Elsesser, May Hong (pictures of whom were also included at the Whitney), stylist and model Thistle Brown, Lili Sumner, Selah Marley, Coco Gordon Moore, and artist Susan Cianciolo, with a bonus appearance from Mission Chinese owner Danny Bowien. Chloe Wise took over the Eckhaus Latta Instagram stories, interviewing attendees with a big broadcast microphone. "All my friends said to me, 'Chloe, you are simply radiating enlightenment today,'" she said on video. "'Is it a new highlighter? Your remarkably even tan?' No. It's Eckhaus Latta."